The overriding aim of all personal tax planning is to legally reduce the amount of tax paid on an individual’s income. This income can come from a number of sources and the tax reduction strategies available will be based on the reliefs and allowances applicable to each source. For the 2016/17 tax year, most people’s personal allowance is £11,000. The personal allowance is reduced by £1 for every £2 that adjusted net income exceeds £100,000, so the effective tax rate of income between £100,000 and £122,000 is 60%. Many companies offer employee benefits which can provide tax advantages. When planning for income tax, these benefits should always be assessed and included in your calculations. Employee benefits are reported to HMRC by the employer if the employee is on a PAYE scheme or by the individual if they are self-employed or a company owner. 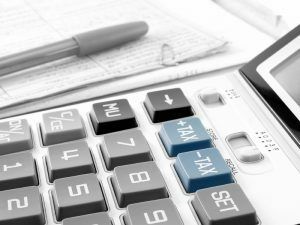 Tax relief on pension contributions, whether by an employee, an employer, or both should also be carefully considered and calculated when income tax planning. Tax relief of 100% on pension contributions is available for those under 75, however national insurance contributions (NICs) are still applicable. Tax relief on pension contributions is dependent on the particular pension scheme the employee and employer are paying into. Occupational schemes frequently operate with the employee’s contribution being paid into the scheme and no tax being deducted. This gives pension tax relief at the usual income tax rate the employee pays. Personal pension plan contributions are taken from an employee’s taxed income. The scheme then claims back the basic rate pension tax relief. Contact us to discuss tax planning today. Inheritance tax (IHT) is paid on a person’s estate, property, money and possessions, if it is valued above the current threshold of £325,000. The current rate of IHT is 40%, unless 10% of an individual’s estate is bequeathed to charity, in which case the tax rate is reduced to 36%. Lifetime gifts are potentially exempt from IHT, and there is no limit on such transfers, so this is a useful way to transfer assets that you do not need to keep in your estate. Gift relief is applied to anything given as a gift (money, assets or property) to a beneficiary as long as the gift giver survives for 7 years after the gift was given. If the giver dies before 7 years have passed there are varying rates of tax applicable ranging from 8% – 40% depending on the number of years which have passed since the gift was given. Life assurance policies (unless designed to cover IHT liabilities) should be assigned during your lifetime so that the proceeds do not form part of your estate on death. Trusts are also a tax efficient way to reduce liability to IHT. There are a number of different types of trust, including bare trusts, interest in possession trusts, mixed trusts, discretionary trusts, settlor trusts, non-resident trusts and accumulation trusts. Each type of trust is subject to different rates of tax. It is prudent to consult a tax specialist when establishing a trust for IHT purposes in order to determine which type of trust is most appropriate. some National Savings Accounts products such as savings certificates and Premium Bonds. Anyone aged 16 plus is eligible to open a cash ISA, whereas to open a stocks and shares ISA the lower age limit is 18. ISAs cannot be held on behalf of someone else. The amount of money which can be saved in an ISA tax-free for 2016/17 is £15,240. It is possible to save using both cash and stocks and shares ISAs but the annual threshold must not be exceeded. Capital gains tax (CGT) is levied when an individual sells land, property or a business. These assets can be personal or business, however if someone sells their main home it will not be subject to CGT. For 2016/17 the rates of CGT are 10% and 20% for chargeable gains with the exception the exception of those made on the disposal of residential property that is not eligible for private residence relief. When calculating CGT losses should be deducted from profits on assets sold that tax year. donating shares, property or land to a charity or selling them at below market value means that income and CGT relief is available. CGT is highly complex and it is advisable to engage an expert when calculating it. Planning for retirement is important, the first thing anyone should do is work out what income they will need. Income tax is still levied when an individual retires. All income bar the standard state pension is liable for income tax. Tax is due on personal and company pensions. The personal allowance for the tax year 2016/17 is £11,000 per annum. Any income exceeding the allowance will be taxed. When withdrawing money from a personal pension pot the first 25% is tax-free. Once the initial 25% has been taken the remainder will be paid as income and will be taxable. We can you help become more tax-efficient.